Honey and bee pollen are Superfoods or whole foods found naturally in nature with exceptional curative properties and nutritional benefits. A small amount of RAW honey and bee pollen can prevent diseases, cure wounds, and clear your mind. Processed honey (like the honeybears) have far less nutritional and curative value as heat and pasturizing eliminate the enzymes and much of the nutrition. Change your diet - change your life. Why not simplify your life, add to your health and free up time to do more of what you love? Honeybees are the main pollinators. Avoid pesticides - save yourself and the honeybee too. Insight: A simple decision makes many other decisions for you - and you may be trapped by decisions you've made in the past. Take diet for an example. The same is true in every category of your life. If you want to simplify life and increase your vitality and mental clarity - begin with your diet. Why? It is the most time-consuming activity you do - 3-4 times a day. And it has the biggest impact on your over-all health and mental alertness. Your brain needs nutrition - lots of it, and your body doesn't run efficiently on fast-food and drug store supplements. You gain hours when you make good decisions and your vitality is optimum, don't you? Tired, lethargic and confused periods are a waste of time. Literally. When you decide to include superfoods in your diet you have added to your nutrition, your health and to your mental clarity. That's one reason they are called "superfoods." Bee pollen is considered a "superfood," because it contains every ingredient required for sustaining life. It is 25% vegetable protein (including at least 20 amino acids (including all eight essential amino acids) and contains more than a dozen vitamins, 30 minerals, 10 enzymes and co-enzymes, and 10 carbohydrates. Bees use pollen for nourishment, not honey. Pollen is amazing. Hundreds of mice have literally lived on pollen for several generations, showing that it is a complete food. 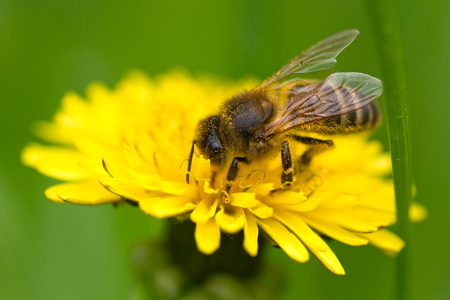 Researchers also found that bee pollen contains nutritive, energetic, and metabolic properties, as well as antibiotic substances that are effective against coli-bacillus and certain strains of salmonella. most complete food in nature. Bee pollen, "nature's perfect food," is taken in capsuls. If you are rushing, your meals erratic or subsisting on fast-food, this is an excellent supplement because it contains every vitamin, mineral and amino acid that your body needs. Because it is a natural food, your body absorbs it too. That's not true of most supplements. No, it's not cheap - but then neither are the results. Consider the cost of illness when you price it out. Sweet is a favorite taste - and many foods are inedible without sweetening. You may have made a decision to eat "sugar-free" foods. Time to re-evaluate that decision. For centuries honey was the first choice. Then sugar was refined, less expensive, and took over. Research showed harmful effects - from diseases and weight gain to emotional disorders. The "sugar rush" is immediately apparent in kids. Then next artificial sweeteners appeared. Most are now considered health risks - "sugar free" often means "chemical substitute" with questionable (and sometimes deadly) side effects. So here we are back to natural sweeteners. Make honey a first choice. Honey has advantages over even natural raw cane sugars. Natural RAW honey - never pasteurized. Ancient traditions still work for todays health issues. Honey is composed of two simple sugars, glucose and fructose, honey is absorbed differently than sugar and thus causes a slower, more gradual rise in blood sugar. Because honey has a slightly higher percentage of fructose than sugar, so it tastes sweeter, and you use less. Raw unfiltered honey is an easy addition for good nutrition. Honey is an instant energy-building food containing all the essential minerals necessary for life, all of the B complex group, amino acids, enzymes, and other vital factors. Honey is virtually free of bacteria. The live enzyme content of honey is one of the highest of all foods. Adding honey to your diet can prevent cancer and Alzheimer's, alleviate seasonal allergy symptoms, and defend you against bacteria and infection. Why? Because of its anti oxidant power, effectiveness in increasing good bacteria in the colon, reducing toxins in the intestine, helping reduce cholesterol and blood pressure, it sustains good blood sugar levels, and because it inhibits viruses, yeasts, bacteria and fungi. Wow! Sorry, not available in stores near you. The cute "honey bears" in supermarkets are heated and pasteurized honey. Heat destroys many of honeys best qualities. The health benefits are worth the expense for RAW honey. If you have allergies, you'll want "local" honey anyway. The pollens in it are probably the ones you are allergic to - and honey is a gentle immune booster relieving symptoms for many. Farmer's markets, health food stores and specialty stores carry RAW honey. Honey helps you battle free radicals by filling your system full of healthy, protective antioxidants; and is also part of the nutrient supply for growth of new tissue. For maximum antioxidant and micronutrient power, choose a honey that is dark in color. Dark buckwheat honey neutralizes sugar levels. It is also an anti-inflammatory packed with anti-oxidants, which help improve brain and heart functions. The highest mineral content variety is Manuka honey. Nothing clouds thinking like stress and poor nutrition. Once your focus and vitality is lost, confusion reigns. Royal Jelly, a premium bee product, helps increase vitality and rejuvenates the body; and has an anti-depressive and anti-anxiety effect which helps fight sleeplessness and thus promote good sleep. Warm milk and honey at bedtime is a classic folk remedy - because it works. Bee Pollen, due to its richness in amino acids, has a positive action on physical and intellectual tiredness. Proteins, the minerals (calcium, phosphorus) and vitamins (A and B vitamins) all assist in restoring mental clarity. Honey: "Food of the Gods." Honey has been cultivated for centuries. Honey may be the oldest known medicine. In ancient times, Eygptians sacrificed honey to the Gods of the Nile, Roman soldiers used honey on wounds as a natural cure to promote healing, and medieval royalty reserved honey for their private use. Archaeologists found 3000 year old jars of honey in Egyptian tombs that were still good. 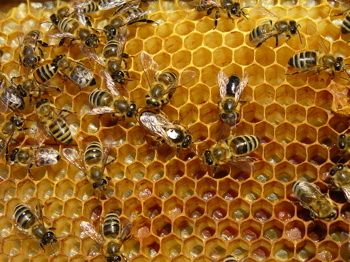 Bacteria cannot grow in honey. Legends claim that bee pollen was the secret "ambrosia" eaten by the ancient gods to acquire eternal youth. 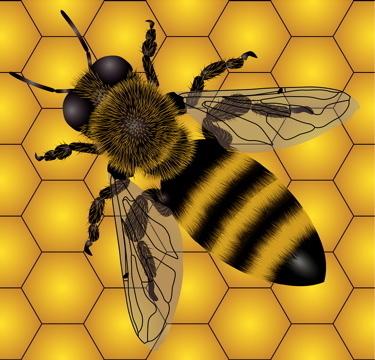 Bee's are carved in Egyptian temples and the Oracle at Delphi - symbols of the wisdom schools. Druids, Celts and native shaman revere the bee and honey in their mystery teachings. Ancient myths and writings on alcoholic beverages refer to mead, or honey wine, as the world's oldest fermented beverage and "Food of the Gods." Make raw natural honey a daily part of your diet. Enjoy the powerful micronutrients that gives your body natural armor against diseases like cancer and Alzheimer's. This natural sweetener has antioxidants, is fat free, cholesterol free, and sodium free - it's worth the "mental switch" in your mind-set. Worried about gaining a few pounds? Adjust the calories elsewhere. Honey is worth consuming. Although RAW honey is more expensive, you'll save ten times that amount using honey as a natural remedy. Why not give some of these old standards a try? The worlds oldest natural healing systems all use honey including Ayurveda, Traditional Chinese medicine and Yunani medicine. As a topical application, it can decrease infection and works just as well as alcohol solutions. Honey can be used to "wash" and disinfect your hands. Honey contains a large amount of glucose, a simple sugar that combines chemically with collagen, a tissue protein. Hence, when applied to burns or wounds. The acidity of honey also promotes healing. How it works: Honey's antimicrobial properties come from an enzyme in the sweetener which produces low levels of hydrogen peroxide, for bacteria-fighting power. In treating open wounds, honey prevents scarring by keeping the skin moist, encourage the growth of new tissues, and allows easy removal of bandages by preventing the dressing from becoming stuck to the skin. Honey is harmless to humans but deadly to bacteria, so it's an effective way to fight infections, and to sterilize wounds. When ingested it fights oral bacterias that cause gum disease. Honey derived from the Manuka bush, found in abundance in New Zealand, claims the highest potency of antimicrobial properties for healing. Raw honey can raise antioxidant levels in the body, restoring muscle glycogen after a workout, and help lower cholesterol. Take Bee Pollen for your hair, skin and nails. Bee Pollen is effective for dry and rough skin and acts against eczema and acne. It helps hair to grow healthier and fights against hair loss. It fortifies weak finger nails. Honey is a natural "humectant" attracting and retaining moisture. When used in skin and hair treatments, honey traps and seals in the moisture leaving skin soft and supple, and hair glossy and healthy. Honey can help treat minor acne by attacking the bacteria that cause the outbreaks while moisturizing the skin to aid rejuvenation. A light coating of honey will hide facial wrinkles - especially around the mouth. Experiment until you find the right amount. Begin with a light touch and smooth the lines. Wait for the honey to set, and then add another coat if needed. 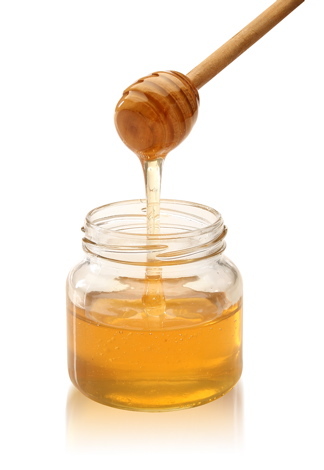 Begin adding a few teaspoons of honey to your daily diet for several months before, and through, the allergy season. Big Agri-business trucks millions of hives a season to the flowering fields. 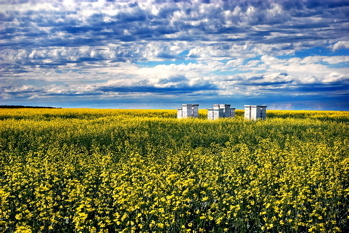 The bees pollinating the crops is as important as the honey they produce. Honey provides serious relief from the coughing and sneezing of allergies because it contains trace amounts of pollen from the plants you react to. If one of these plants is an allergy trigger for you, when you eat the honey, exposure to the small amounts of your allergen helps you build up an immune defense that protects you from allergy attacks. Use locally-produced honey because it likely contains the pollens from your area. Bee pollen benefits all of the functions of the liver with more than 100 different biochemical liver functions. Pollen may be used with all the hepatic affections: chronic or acute hepatitis, biliary lithiasis, hepatic insufficiency, and cirrhosis. Honey reduces the need for alcohol and repairs the damages alcohol causes to the liver. Bee pollen supports the functions of the stomach and the intestines by reducing inflammation of the digestive track and by supporting the intestinal flora. Use it for gastritis, gastric and duodenum ulcers. Pollen helps harmonize the elimination functions of the intestine and will aid in constipation or chronic diarrhea. It will also help calm down flatulence. Honey is also used for treating digestive problems such as diarrhea, indigestion, stomach ulcers and gastroenteritis. Experiencing insomnia or a sleep disorder? Try the old favorite standby of milk and honey before going to bed. Traditional Chinese Medicine also prescribes drinking a cup of honey water before bed time as a tranquilizer and sedative. Prostate Health is a big issue. Prostate troubles affect 30% of men between 50 and 60 years, 60% of men between 60 and 70 years and 100% of men older than 70. Bee Pollen's curative properties are used for treating many issues of the prostate: benign hypertrophy of the prostate, prostatitis and cancer of the prostate. Why not change your diet, and not be one of the statistics? Several studies showed that men can prevent and reverse these statistics by taking pollen daily after the age of 50. Your call. Nutrition or surgery? then treat it with diet. be used if diet fails." Home remedies using honey and cinnamon cure many common ailments and they are listed at "Home Remedies." Common sense and a practical guide can solve most health issues long before they become a problem. All symptoms are the result of internal problems and most can only be permanently healed when the body is brought back into it's natural balance. Diet, exercise and home remedies are a proven and certain natural path to health and wellness. Honey has been a part of natural healing for centuries. There are many more healing benefits, remedies and uses. These are only a few for common ailments as a reminder of how potent a "medicine" honey can be. Keeping bees is simple if you have fruit trees. If you have a garden, your plants depend on the honeybees each season for pollination. Everyone's metabolism is different and so is your current health status. Honey and cinnamon are a simple, easy solution to try and both are harmless. Who knows, you may discover (like your ancestors did) that honey heals many things. Adding a little cinnamon is a nutritious and tasty idea. Make a plan for a healthy diet and your Health and Wellness and vitality will be your reward. Add raw honey to your diet and you've added super nutrition. Want an additional boost? Review the equally amazing benefits of superfood almonds (scroll down) and you'll have a recipe for living healthier with minimum effort. Make it a habit and you'll enhance your health and free up time to explore things you enjoy - like living in Good Fortune! Quick Good Fortune: "Simple pleasures can return big benefits now." Try EFT, the Emotional Freedom Technique, or Tapping - for quick relief of many ailments caused by energy blockages and emotional stagnation. It's simple, the information FREE, and many try it on everything - Why? because it works when nothing else does! Get the facts and give it a try. Health is impossible with inner turmoil. Old traumas and anxiety wear you out. Tapping is a practical solution to relieve stress. It works by combining ancient Chinese acupressure and modern psychology - often with startling results. Your body-mind vibration - is attracting your experience. Fears and stress attract trouble. Law of Attraction is responding. The power of attraction is verifiable, observable and operating in your life. Why not work with it? You can't fight yourself and win. Stress will do you in. Give up the struggle and relax into the natural healing creative process of tapping to release the inner conflicts. Once clear of old habits, controlling your mind and Focus is easy. Your results will be Quick and more than you ever imagined possible. Why not give it a try - all you have to lose is all the stuff you don't want anyway. Almonds- A Superfood Snack Healthy living prevents dis-ease naturally. Choose almonds: you get a Superfood that can save your life. 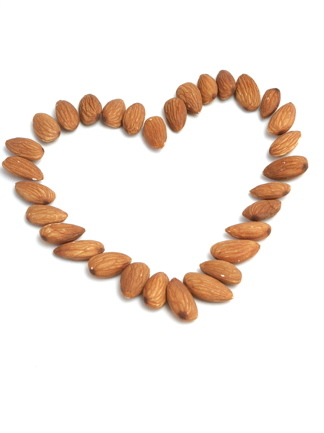 Heart disease kills and almonds lowers the risk 50%. Almonds deliver super results, including natural cures to major dis-eases. Almonds also dramatically decrease your risk of diabetes and cancer; reduce your weight (without hunger) and add nutrition (vitamin e) and natural oils that reduce the signs of aging like wrinkles and sagging skin. Superfood Almonds, lose weight, enjoy more. Add raw honey to your diet and boost your immune system. Honey is a Superfood providing antioxidants, minerals, vitamins, amino acids, enzymes, carbohydrates, some protein, and phytonutrients ñ and bees are disappearing around the world. If not stopped, Colony Collapse Disorder (CCD) would jeopardize our food source (without pollination much of our fruits and vegetables would die out.) Now, no one knows the cause so a solution that would save the bees isnít available. Honey Superfood "TO BEE OR NOT TO BEE: What is the Answer?" If You Can Change Your Diet You Can Change Your Life is a great guide to making health changes stick: Why is dieting difficult? Changing genetic habits demands a new level of thinking. Take an entirely new approach and get results easily and quickly. As you expand your consciousness - new opportunities in all areas of your life open up: Attracting Health and Wealth is easy and fun. It begins with changing habits.